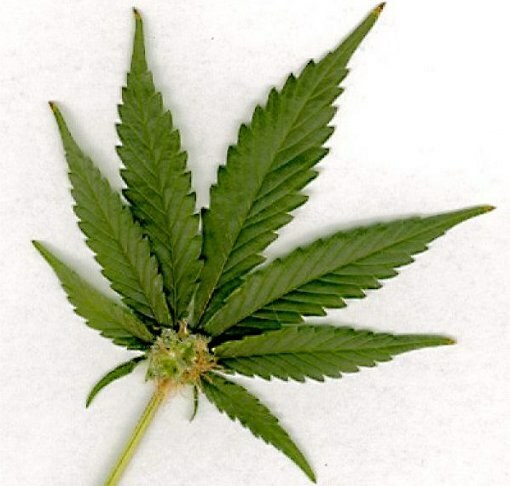 Marijuana, cannabis, "grass", "pot", "dope", "marivanna", "plan" is a mild drug, non-addictive, attribute, anecdotes about the students and joke about Holland. Although the effect of the drug visible to the naked eye, not every analysis can establish the fact of its use. By analogy with alcohol, marijuana causes relaxation and a feeling of mild euphoria: responsible cannabinoids - the psychoactive substance found in the leaves and flowers of the plant. Intermittent pleasant effects of Smoking "grass", such as relaxation and improved mood, kompensiruet inhibited reaction and the change in perception that could interfere with driving, work and many other actions that require concentration. The human body, although is not a physiological dependence, continues to get rid of the effects of drinking up to three to four weeks after Smoking marijuana, especially if the drug enters the body regularly. Parents who care about the health of their children-teenagers and suspecting them to use "grass", often ask the question of whether the General analysis of blood to determine the presence of marijuana. An unequivocal answer to this question is no. In technology the General analysis of blood does not include techniques that allow to find traces of the drug. But there are tests for marijuana use, allowing a high degree of certainty to the result and to establish the fact of drug administration. To identify the drug in the human body requires special study the material using saliva, urine or blood, and the blood test has a high accuracy and gives a result within a few months after the last session of Smoking. The doctor produces venous blood and conducts tests to detect antibodies produced by the body resulting from the consumption of the drug. Reaction to marijuana is individual and depends not only on the frequency of Smoking, but also from dosage, so the term antibody production is different and ranges from three to four weeks to three or four months. 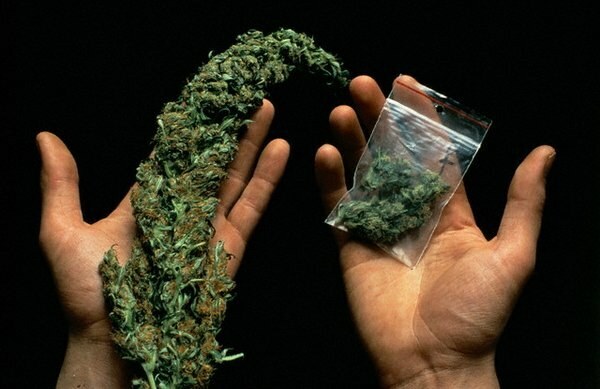 Other tests - saliva and urine - is designed to search for "hot pursuit", as the saliva traces of marijuana persist up to twelve hours and in the urine from three to four days to weeks in the case of regular Smoking. At the core of these studies lies immunogeneticheskie analysis - specific chemical reaction, expressed in the change in color strips-testers. The higher the cannabinoid content, the brighter and clearer will be the result, but even in the case of a slight presence of breakdown products of marijuana test will give a positive response. Any of the modern test procedures gives at least 90% guarantees results if used at the appropriate time. The use of any narcotics, even light, can create a lot of problems. Cannabinoids can accumulate in various tissues and organs. Faster want to clean your body from received it of harmful substances – please attach to this effort. - low-fat food rich in fiber. The insidiousness of cannabinoids is that of the body they are excreted very slowly. They are fat-soluble compounds and is able to gain a foothold in the cellular membranes. Cannabinoids entering the body through the use of low-quality drugs are able to remain in it for six months. Hit the cannabinoids sports. These substances are excreted with sweat and urine, and if you lead an active lifestyle will accelerate this process. The most simple means, not requiring any talent or availability of sports equipment – running. Otherwise, you can use any sport – football, classes at the gym, Biking or rollerblading. Drink as much liquid as possible. From alcohol, coffee or strong tea, as well as synthetic carbonated drinks should be abandoned. It is best to drink regular water or mineral water in unlimited quantities. In the spring you can drink birch SAP in summer to eat watermelon. This will help your body to quickly say goodbye received in his drug. Bath and sauna promotes perspiration and thus excretion of cannabinoids. During your stay in the steam room should also drink plenty of fluids – water or herbal tea, but in any case, not alcohol. It is desirable some time to stick to a diet that stimulates the excretory systems. Choose meals that contain a lot of fiber and low in fat. Acceptable are lean meats, white fish, pasta, cereal, rice, wholemeal bread, fresh vegetables and vegetable soups, nuts and legumes. In some cases, for example, in case of overdose requires immediate removal of cannabinoids from the body. This procedure is performed in the hospital under the supervision of a doctor. To do this, use drugs, plasmapheresis, IV.